19-day Classic Laya Trek offers you a luxury of experiencing the most amazing trekking adventure along the off the beaten path with plenty of acclimatization. 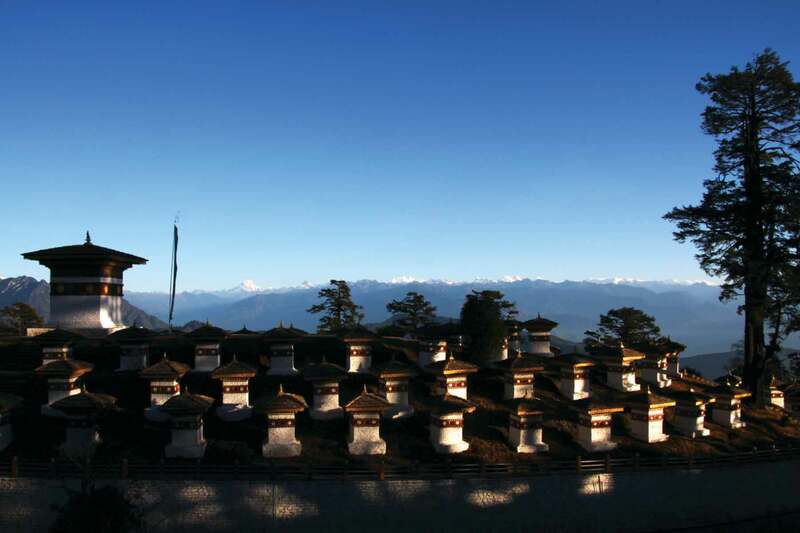 Reckoned synonymous to warmth hospitality and a dotted trekking destination, Laya is a perfect hub to capture a complete picture of Bhutan; you can taste Bhutan's famous butter tea, yak milk and local brewed wine, watch cultural program and remain mute witness to the authentic Bhutanese culture and custom. En route to Laya the trekking trail weaves past Shana camp, Soi Thangthangkha, Jangothang, Lingshi, Chebisa, Shomuthang, Robluthang and Limithang. You can not help yourself soak in the tranquility and exotism of nature. Further ahead, you trek along Koina, Gasa Hot spring, Goen Damji and Tashithang on a network of well-maintained and rock-strewn trails. Each of these destinations has its own distinct character: unique geographical features, surreal mountain vegetation, quaint hamlets, dzongs, open pastures, indigenous people, art and history are juxtaposed amid the seclusion and simplicity of Bhutan. Hot spring bath at Gasa Tshachu is an additional treat that makes your trek more memorable and undeniably worthwhile. Day 01 - Arrive Paro by Druk Air. Day 02 - Hike to Taktsang monastery. Day 03 - Drive to Drugyel Dzong and trek to Shana camp. Day 04 - Trek from Shana to Soi Thangthangkha. Day 05 - Trek from Soi to Jangothang. Day 06 - A rest day at Jangothang. Day 07 - Trek from Jangothang to Lingshi. Day 08 - Trek from Lingshi to Chebisa. Day 09 - Trek from Chebisa to Shomuthang. Day 10 - Trek from Shomuthang to Robluthang. Day 11 - Trek from Robluthang to Limithang. Day 12 - Trek from Limithang to Laya. Day 13 - Rest day in Laya halt. Day 14 - Trek from Laya to Koina. Day 15 - Trek from Koina to Gasa Hot spring. Day 16 - Trek from Hot Spring to Goen Damji. Day 17 - Trek from Damji to Tashithang and drive to Punakha. Day 18 - Drive from Punakha to Paro via Thimphu. Day 19 - Transfer to airport final departure. travel insurance and personal expenses like telephone, beverages, tips, etc.